Who do our writers and editors think will win it all? 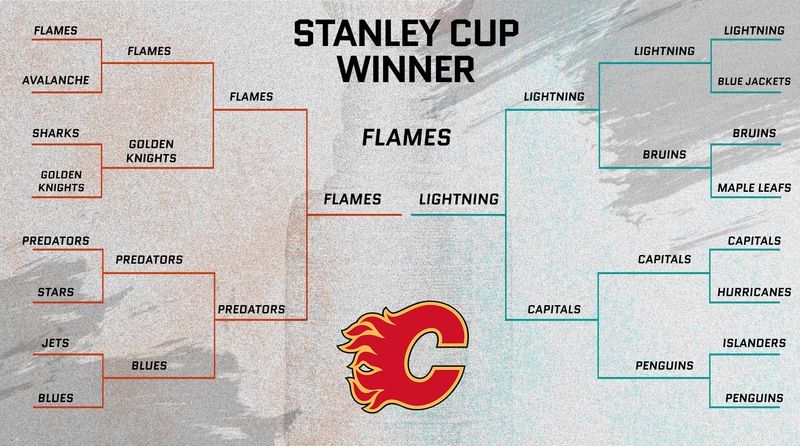 We've locked in our picks for the Stanley Cup. The Stanley Cup playoffs have finally arrived. And while the storylines are set, this year has the potential to be a crazy ride for everyone involved. Could we have back-to-back champs yet again? Or will the heavy favorites conquer the East and take the Cup to Tampa Bay? And the Wild West is seemingly wide open. While the Flames look finish their impressive season with the ultimate finish, the band of misfits in Vegas hope to ride their Mark Stone wave back into the finals. 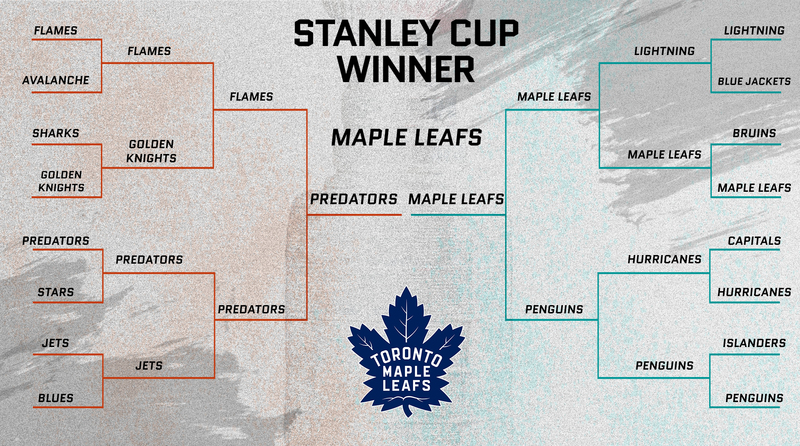 So at the end of it all, who will be left to raise Lord Stanley? Here’s how we see things shaking out. Prewitt: I tried. I tried talking myself into San Jose, or Washington, or Boston as the brave team that could stop the freight train currently chugging along the Gulf Coast shores. But how can anyone argue with an NHL record-tying 62 wins? Or, for that matter, the best individual offensive season since Mario Lemieux? 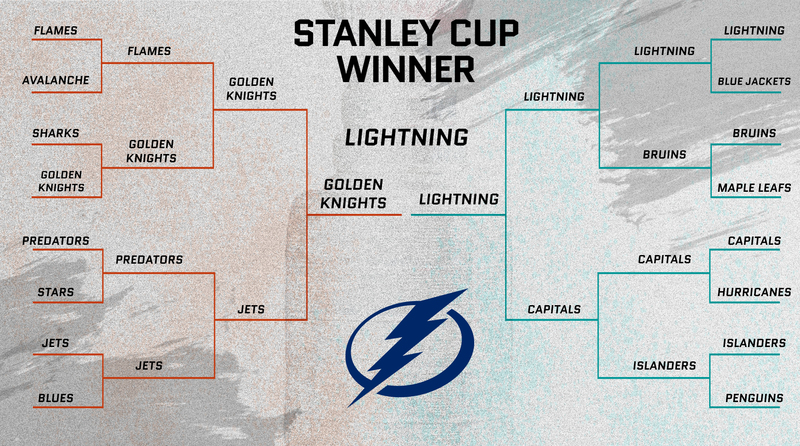 No, better not bet against winger Nikita Kucherov and the rest of the Lightning, who have reached three conference finals in the past four seasons. It is, finally, their time. Fuchs: The Lightning have been the league's best wire-to-wire. What's to suggest anything will change? Offensive depth? Check. Defensive studs? Check. Vezina-caliber goalie? Check. Washington's aggressiveness seems to be the only thing that gives the Bolts trouble, but a conference finals matchup isn't a guarantee. Plus rookie defenseman Erik Cernak provides some bite that the team didn't have last year. Could be a very easy trip to the Cup. Falkenheim: The Flames will end Canada’s quarter-century-long Cup drought and defeat the Lightning in a rematch of the 2004 Stanley Cup Finals. The Flames were the West’s most complete team all season long and have the offensive firepower to match the Lightning with weapons like Johnny Gaudreau, Sean Monahan and Matthew Tkachuk. Mark Giordano marshals a Calgary defense that’s effective at limiting opponents’ scoring opportunities and, with good enough goaltending, the Flames will claim hockey’s most coveted prize. Single: Sure, the Leafs haven't beaten an Eastern Conference playoff team in two months, but consider that this will be the first postseason in which their entire young core can drink in either country their games are played. Toronto's last two first-round exits have been knock-down, drag-outs, and whenever it all clicks (stay with me, Leafs fans), this team is going to make a big playoff leap in a hurry. So why not win it all? Nelson: While the Lightning are tempting, I believe too much in the curse of the Presidents’ Trophy to trust them. Nashville was the talk of the hockey towns after finishing best in the league last year and then saw a second-round exit as an unsatisfying followup to its 2017 Cup Final appearance. This season has been up-and-down, but the Predators finished on a hot streak and are looking for some redemption for how these last couple of postseasons panned out. The pressure of being the initial favorites has been lifted (and we saw how well that worked for Washington last year), so by my calculations that means the elusive 35.5-pound chalice will finally make its way to Smashville.